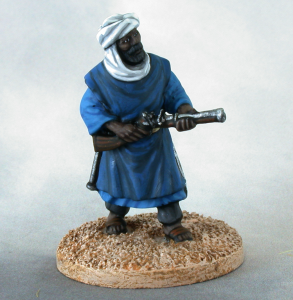 There are bold plans for releases for Unfeasibly Miniatures in 2016 including a complete new range of 28mm miniatures – Empire in Peril and further releases for the Exotic Adventures range. We will continue to release new items each month except August & December. This range will launch via Kickstarter in early 2016. The reason for choosing Kickstarter is to speed up the release of the first wave of packs and provide enough packs to build credible units. 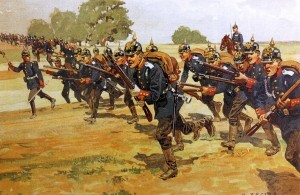 The first 3 packs for this new range depicting the Imperial German Army, at the turn of the 20th Century, are completed. 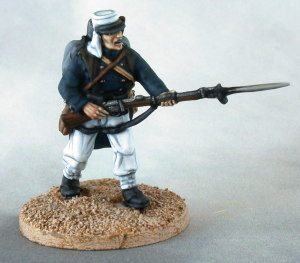 Masters for The British Army in their Home Guard uniforms are in the final stages of sculpting and along with German artillery – a Krupp 77mm ’96 gun. 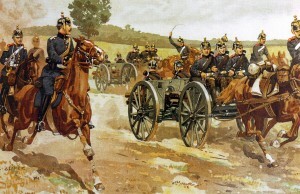 The range will include both foot and cavalry units and will also include some novelty pieces inspired by films of the period. Méhariste on foot (II) – consisting of 4 unique sculpts, one prone, two kneeling and one breaking from cover. Méhariste command – consisting of two French officers, one depicted on a camel and one one foot. 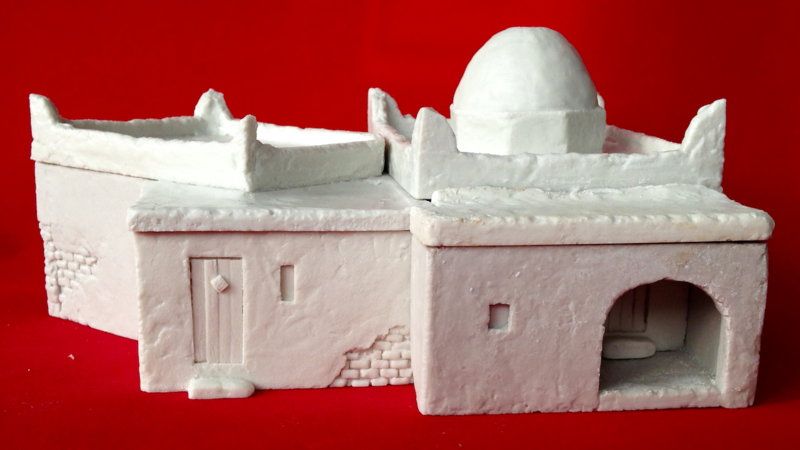 A Moroccan Casbah – a resin model based on a casbah at Bou-Denib. Typical of buildings found throughout the middle East from biblical period through to the early 20th century. Ambulance – a mule drawn French ambulance, based on the 1886 model and used throughout the French Army upto the end of the WW1. Casualty figures – consisting of a pair of stretcher bearers carrying an injured legionnaire and an injured legionnaire receiving treatment. Mule supply train(I) – consisting of two mules carrying water casks , along with a legionnaire and a local Arab boy. Mountain gun mule train – consisting of 4 loaded mules and 4 legionnaires. Paint sets – each set contains 9 pots of Coat D’Arms paint and a unique figure. Well, that is my first Kickstarter of 2016 sorted! Thank you, still working on the full set of packs & the stretch goals. Yes, a pack of mounted méharistes will be released in the 2nd half of 2016. I have some difficulties contacting you. I already wrote but with no answer. I therefore postpone my order, having no information about availability except what is mentionned on your online shop and that is out of stock! No real issue: I can wait for the project, which is to skirmish saharan clashes between compagnies méharistes and Berabers or Tuaregs. Some new references mentionned would indeed be welcomed, as well as an officer that I saw painted on the web with sanaran dress but who is absent from your web site!